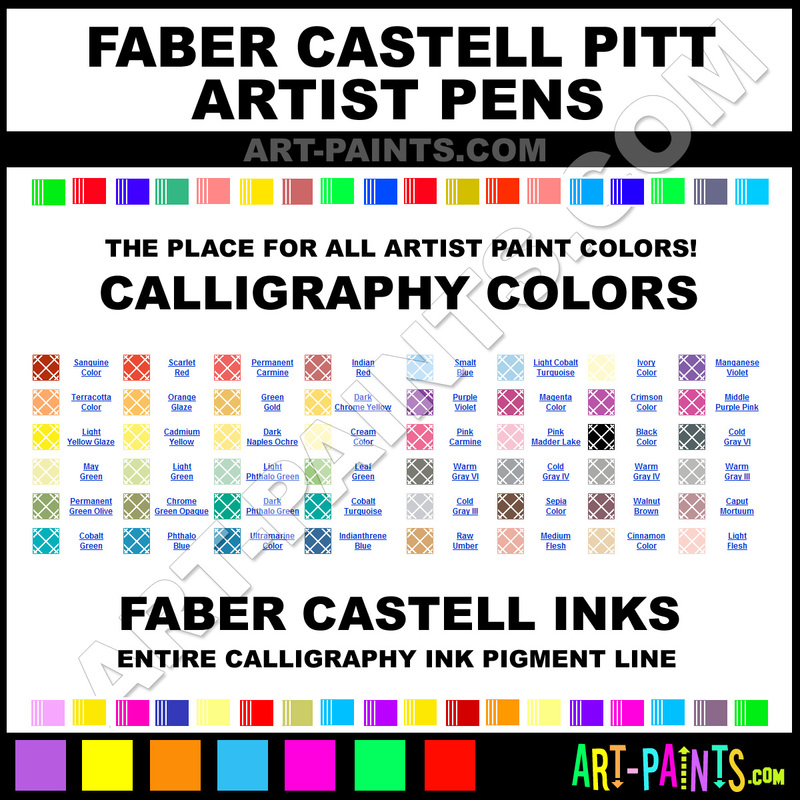 Faber Castell makes a beautiful Pitt Artist Pens Paint Brand. With a complete line of Calligraphy Ink Paints, 48 colors in all, available in beautiful hues and colors, they will no doubt keep you painting with Pigments and Inks and smiling at the same time. This brand is very unique and exquisite!